Trevor Noah has a new special out on Netflix. In it, he has this whole bit about Russian being the scariest accent out there. If you ever want to frighten someone away, just start talking in a thick Russian accent. 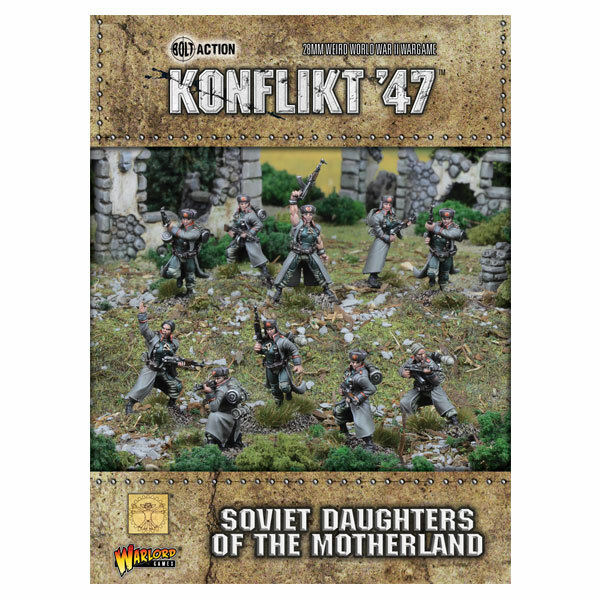 So I could only assume that if you were to have a conversation with the Daughters of the Motherland, available now for Konflikt '47 from Warlord Games, it'd be a frightening experience. 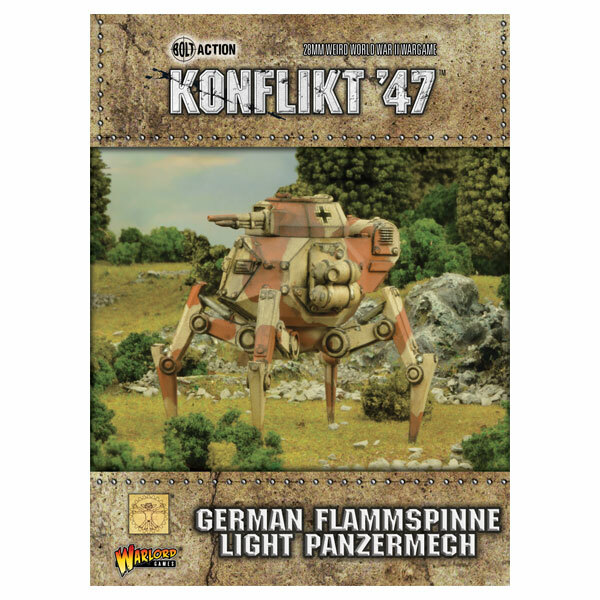 You might just prefer to talk to the Flammspinne Panzermech instead. Combing the agility of an infantryman with the armour and firepower of a heavily built armoured car, the Spinne (spider) is almost the perfect recce vehicle for close terrain and urban environment.